Move over, Uber and other ride-sharing applications as one man in Michigan dared to be “innovative” by bringing back something old - and adding “horsepower” to ride sharing. 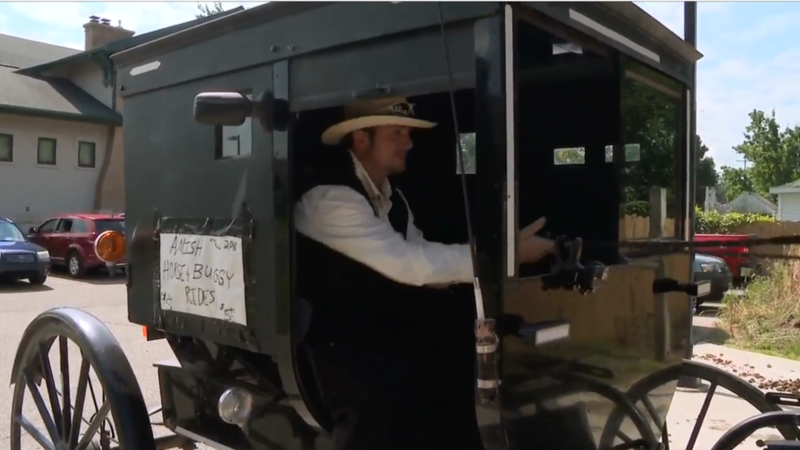 Timothy Hochstedler from St. Joseph County calls it Amish Uber, a more scenic alternative and a different experience from the usual ride sharing modes. The newest taxi service in Colon offers four wheels, four legs, and good gas mileage. Inside Hochstedler’s horse and buggy, people share a ride and the mood inside is always jolly and light, never stressful as Hochstedler leads with sharing some stories. The ride costs $5 for each person, a steal given the riding experience it offers as riders get a chance to see Colon without the distraction of driving a car. Those wanting a ride also need no cellphone to do so, they can just flag down Hochstedler and get a ride right there and then. The Amish Uber is not connected to Uber the company. Hochstedler just used it for easier recall, it seems. But looks like he and his ride have made their mark already- with or without Uber in their name.